In a new paper published today in the journal Physical Review Letters, the researchers discuss how they used artificial intelligence tools to train an AI 'brain' to search for gravitational wave signals. Gravitational waves, ripples in spacetime caused by massive astronomical events, were first hypothesised by Albert Einstein in 1915. It took another century before the Laser Interferometry Gravitational-Wave Observatory (LIGO) detectors in the United States first picked up the very faint signals from the collision of binary black holes. Since that historic first detection in September 2015, the Advanced LIGO and European VIRGO detectors have picked up numerous signals from other binary black holes and one from the collision of binary neutron stars. Currently, gravitational wave signals are picked from the background noise of the detectors using a technique known as matched filtering, which measures the outputs from the detectors against a bank of template waveforms. Signals which match the shape of a template waveform are then examined more closely to determine whether they represent a genuine gravitational wave detection. However, the process requires a great deal of computing power. As the detectors are upgraded and their sensitivity to gravitational wave signals increases, astronomers expect significantly more detections to be made during each observing run, bringing with it an accompanying increase in required computing power. University of Glasgow Physics and Astronomy postgraduate students Hunter Gabbard and Fergus Hayes and undergraduate Michael Williams decided to investigate whether deep learning, a form of artificial intelligence, could help make the process of detection more computationally efficient. Under the direction of University of Glasgow astrophysicist Dr. Christopher Messenger, they used a process known as supervised deep learning to build an artificial intelligence capable of correctly picking out gravitational wave signals buried in noise from thousands of simulated datasets which they created. Hunter Gabbard said: "Deep learning algorithms involve stacked arrays of processing units, which we call neurons, which act as filters for the input data. Supervised deep learning allows us to 'teach' the system through three datasets we provide. The first dataset, the training set, allows us to ensure it's 'learning' what we want. The second, the validation set, shows us it's learning in the way we expect. The final set, the test set, helps us quantify the system's performance." "What makes this process faster and more efficient than matched-filtering is that the training set is where all the computationally intensive activity occurs. Once the deep learning algorithm learns what to look for in a signal, it has the potential to be orders of magnitude faster than other methods." Fergus Hayes added: "At the same time, we also used a standard matched-filtering process to sift through our simulated gravitational wave data, so we could compare the effectiveness of our deep learning approach using a statistical process figure-of-merit called receiver operator characteristic (ROC) curves. "With careful tuning and training of the deep learning tool, we found that those ROC curves showed a very similar performance between our new process and the matched-filtering process. What that suggests is that neural networks provide a very promising method for searching for gravitational wave signals." Michael Williams added: "Although in this paper we've concentrated specifically on binary black hole detections, the process could easily be applied to other types of gravitational wave signals and we're keen to continue our research. 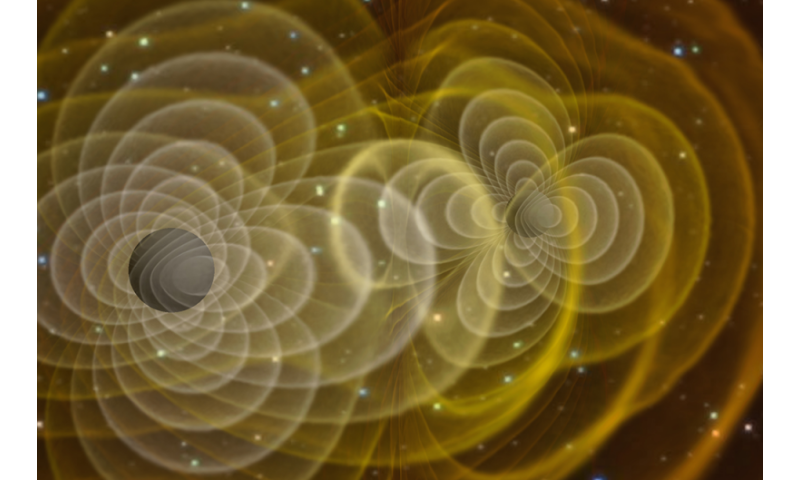 It's an exciting finding, and suggests a very promising path forward for the more intensive gravitational wave astronomy which will come as the detectors become more sensitive." The researchers' paper, titled "Matching matched filtering with deep networks for gravitational-wave astronomy," is published in Physical Review Letters. "were first hypothesised by Albert Einstein in 1915." Wrong. Gravitational waves were first proposed by Oliver Heaviside in 1893 and first associated with relativity in 1905 by Henri Poincaré. Einstein was sceptical of Poincaré's gravitational waves but pursued the idea anyway, finding three possible kinds of gravitational waves in 1916, not 1915. This and other articles change the year of the prediction to match the detection 99 years later (to make it an even century). Two of the types of gravitational waves turned out to be artefacts leaving just the one we currently have, as corrected by Arthur Eddington in 1922. "In 1936 Einstein wrote to his friend, renowned physicist Max Born, "Together with a young collaborator [Nathan Rosen], I arrive at the interesting result that gravitational waves do not exist, though they have been assumed a certainty to the first approximation"
The history was complex & not straight forward as modern historical revisionists make out. - the first is: science has not yet learned what gravity is, how it arises, and who provokes it, and invents some GWs, which they claim to have been discovered, which is a public outcry. - Another assertion is some artificial intelligence that unites neurons. Again nonsense. Can there be skeletal neurons? It's the same fatamorgana as "science gravity". These experts have a low level of intelligence and now use computers in which they will grow skilled intelligence. How much will it cost a "megaintel", if it is for that market. For these celebrities, the PC is a golden calf such as the old Jews made themselves of melted gold jewelry when they did not know what to do with them. That is itself only part of the picture. Einstein submitted the paper to the journal Physical Review where it was rejected in one of the first instances of anonymous peer review. The reviewer was later identified as Howard Percy Robertson who, having seen a second attempted submission of the paper to the Journal of the Franklin Institute discussed the errors he had found with one of Einstein's collaborators Leopold Infeld. Infeld told Einstein of the problems Robertson had identified. Einstein realised his mistake and re-wrote his conclusions completely, resubmitting the paper in 1937 with the conclusion GW were possible. There may be an open access copy somewhere. Abstract.. It turns out that rigorous solutions exist and that the problem reduces to the usual cylindrical waves in euclidean space.